Scott Ashby was appointed Chief Executive of Primary Industries and Regions SA in February 2013. He brings to the role more than 20 years of leadership experience and knowledge in primary industries, water management, natural resource management, and environmental protection, as well as central agency experience. He leads the Department at a time of key challenges in helping shape the future economy of our State, in particular our regions. Scott will ensure the Department continues to build its reputation of a long history of excellence and drive a policy-focused, high performing, collaborative, trusted department that works in partnership with regional industry and communities. Prior to this appointment, Scott was Chief Executive of the Premier's Murray Darling Basin Plan Taskforce in the South Australian Government. The Taskforce, established in June 2012, was successful in driving the State Government's response to the Murray-Darling Basin Plan, and achieving its critical priority of securing a healthy future for the River Murray and the communities who depend on it. A major element of this process was engaging the South Australian and national community through the Fight for the Murray campaign. Scott has previously held the positions of Chief Executive in both the Department for Water (DFW) and the Department of Water, Land and Biodiversity Conservation (DWLBC) in the South Australian Government. 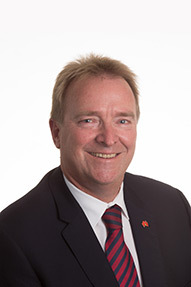 Scott has also held the positions of the South Australian Commissioner on the Murray-Darling Basin Commission and South Australian Murray-Darling Basin Officials Committee (BOC) member. His central agency experience included Deputy Chief Executive in the Department of the Premier and Cabinet (DPC) in South Australia, where he led a number of policy and program divisions, and corporate services. Scott has worked in both the South Australian and Victorian public sectors since 1991, in a wide range of policy areas, including as Executive Director Strategic Policy in the Victorian Department of Primary Industries and a number of Executive positions in the Victorian Department of Natural Resources and Environment. These roles included responsibility for policy areas addressing agriculture biosecurity, forestry, minerals and petroleum development, fisheries, science policy, regional economic development, natural resources management environment protection, water management, greenhouse and climate change, and intergovernmental relations. Scott is a member of the Senior Management Council, the South Australian Government Information Communication Technology (ICT) Board, and the State Emergency Management Committee. As Deputy Chief Executive, Professor Mehdi Doroudi has responsibility for leading and influencing the activities of the Department in the achievement of legislative, policy, management and development outcomes, and other initiatives such as research and development that will support the responsible and sustainable management of primary industries in South Australia. Mehdi ensures strategic priorities are developed, aligned with the State Strategic Plans, and consistent with other State or Commonwealth relevant legislations. Mehdi has responsibility for strategic management of Biosecurity SA, Fisheries and Aquaculture, Forestry, and the South Australian Research and Development Institute (SARDI) divisions. In his previous role as Group Executive Director Mehdi was responsible for the activities of the Department that support the responsible and sustainable growth of agriculture, food, fisheries and aquaculture sectors in South Australia. During his time as Executive Director of Fisheries and Aquaculture, Mehdi was responsible for sustainable management of the South Australian fisheries resources and also development of an internationally competitive aquaculture industry that is market-driven and environmentally and socially responsible. From 2006 to 2009, Mehdi held the position of Chief, Aquatic Sciences for the South Australian Research and Development Institute (SARDI), where he was responsible for providing clients with effective, innovative and coordinated services with an aquatic resource management focus. These included aquaculture research and development, marine and freshwater ecological research, and environmental assessment together with fisheries biology, assessment, modelling and oceanography. Mehdi completed his degree of Doctor of Veterinary Medicine at Tehran University and his PhD at the School of Marine Biology and Aquaculture, James Cook University. He also holds an affiliate professorial position with the University of Adelaide. Mehdi has worked as a policy maker, an academic researcher and as an industry consultant in policy advice, science innovation and commercial operation in the field of primary industries with a particular emphasis on fisheries and aquaculture over the past 27 years. He has worked in the Caspian Sea, Persian Gulf and Oman Sea, as well as in Queensland, Western Australia, Northern Territory, New South Wales, Victoria and South Australia and brings to his latest role considerable skill in strategic planning, project management, policy development, science and innovation, experimental design and monitoring programs. 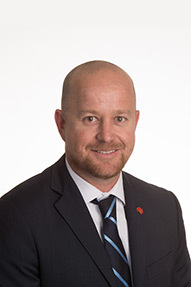 Tim Goodes was appointed as Deputy Chief Executive in February 2017 and is responsible for working with the Chief Executive and Departmental Executives to deliver the Government’s strategic agenda through his leadership of the Agriculture, Food and Wine, Regions SA, Rural Solutions SA, and Corporate Services divisions. Tim works with these divisions to assist primary industries and regions to grow, innovate and maximise their economic growth potential, by collaborating with industry, government, academic institutions and other community stakeholders. Tim has formal qualifications in Nursing, Social Administration and a Masters Degree in Public Policy and Management from Flinders University. Tim’s career began in the community sector and the last 24 years has been in the South Australian Government working across a number of agencies in service delivery, policy, management and leadership roles. Tim spent 12 years in the Justice portfolio, with executive roles in the Courts Administration Authority as the Sheriff of South Australia, and the Attorney-General’s Department as Executive Director Justice Strategy. Tim served as an Executive Director in the Department of the Premier and Cabinet leading the delivery of corporate and whole of government services, before moving to the Department of Water Land and Biodiversity Conservation in 2009. Following Machinery of Government changes in 2010, he was appointed as the Deputy Chief Executive of the Department for Water, and following further changes to government in 2012, he became Deputy Chief Executive and Group Executive Director of Strategy and Advice in the Department of Environment, Water and Natural Resources (DEWNR). In DEWNR, Tim was responsible for water resources management in South Australia, including serving as the Basin Official for South Australia pursuant to the Water Act 2007, leading Basin Plan implementation in SA, as well as advocating for South Australia’s position nationally. He was also responsible for science, natural resources management policy, climate change strategy and corporate planning and governance. As Executive Director of Agriculture, Food and Wine within Primary Industries and Regions SA, Jo drives the strategic direction of the agency and leads projects and programs relating to the agriculture, food and wine industries. Jo brings to the Department extensive skills in strategy development, communications and community engagement and positioning government agency effort to best deliver strategic policy outcomes. Jo has held leadership positions with the Department of Environment, Water and Natural Resources, the Premier’s Murray-Darling Basin Taskforce, the Department for Water and SA Health. Will Zacharin was appointed Executive Director Biosecurity SA in July 2010 and is responsible for programs in animal health, plant health, marine biosecurity, food safety, rural chemicals, vertebrate pests, weeds and emergency management. Will is the current State Government member on the National Biosecurity Committee. Before heading up Biosecurity SA, Will served as Executive Director, Fisheries in the Department from 2000 to 2009 and as a senior fisheries manager in the agency. Previously he worked with the Department of Primary Industries and Fisheries in Tasmania. During this period, he established many of the quota managed fisheries in South Australia and the development of the Fisheries Management Act 2007. Will was awarded a Churchill Fellowship in 2002 and investigated alternative allocation and access mechanisms in fisheries between commercial, recreational and indigenous fishers. He has published a number of scientific and management papers on fisheries management arrangements in Australia. Will holds a Bachelor of Science (Hons) and a Master of Science, as well as a Graduate Diploma in Business Management. He is a graduate member of the Australian Institute of Company Directors. As Executive Director of Regions SA, Alison Lloydd-Wright drives and delivers the South Australian Government’s regional development agenda. Alison brings diverse experience in governance, strategy, policy development, and community engagement from a variety of portfolios. Alison has held roles as Director of Communities and Justice, focusing on delivery of a range of social policy priorities for the Department of the Premier and Cabinet, and Director of the Chief Executive’s Office at the Attorney-General’s Department. These roles have contributed to Alison’s focus on coordinated, whole of government policy development, innovation, and sustainable, lasting reform. 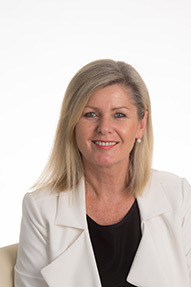 Alison's experiences include providing strategic policy advice to Cabinet across multiple portfolios, negotiating with the Australian Government on national projects, and delivering strategic projects including legislative reform. Alison holds a Bachelor of Laws and Honours and Bachelor degrees in Arts, with a focus on public policy. 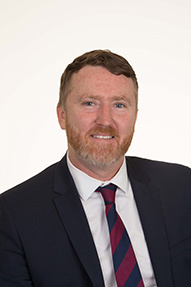 Daniel Casement was appointed Executive Director of Rural Solutions SA in 2012. Daniel continues to lead Rural Solutions SA's success as it focuses on regional program delivery, and modern-day extension and knowledge transfer. Daniel has been with Rural Solutions SA since 2001 and has fulfilled leadership roles in primary industries development and extension, agribusiness, regional development and social sciences. Before this he worked in research roles with SARDI for the Australian seafood industry. As a leader of a small executive team, Daniel brings high-level innovation, strategic and operational planning and management, leadership and human resource management skills to his role. Daniel has experience in working in culturally sensitive areas through work with Indigenous communities across Australia, and with clients from the Philippines, Christmas Island and Cocos (Keeling Islands), Papua New Guinea and the Pacific Islands. In recent years, Daniel has applied his knowledge and experience to growing the business of Rural Solutions SA and leading his teams through difficult economic challenges, while ensuring strategic direction and growth. Future success will see Rural Solutions SA become a globally recognised business focused on major program delivery, commercial operations and maintaining an industry and community information conduit through the operation of regional customer service centres. Rural Solutions SA will provide a responsive and reliable service to government and other clients, drawing on its strong background in technical excellence, and working with regional businesses and communities. The Rural Solutions SA business will provide highly skilled project teams in areas as diverse as land and soil management, agricultural production, food demand chains, mining and environmental restoration, Aboriginal and community engagement, international development programs and climate adaptation. Daniel holds a Masters in Business Administration (MBA) and a Bachelor of Applied Science (Fisheries). With more than 18 years working across Australia in primary industries, Daniel continues to deliver high-level technical consultancies and builds the organisation profile of Rural Solutions SA. Dr. Peter Appleford was appointed to lead the South Australian Research and Development Institute (SARDI) in June 2017. 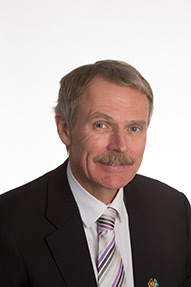 Peter is responsible for the executive management and oversight of the South Australian government primary industries research capability, investment and delivery. SARDI delivers robust scientific solutions to support sustainable and internationally competitive primary industries. Dr. Peter Appleford is a science graduate of the University of Melbourne, holds a PhD (Science) from James Cook University and is a member of the Institute of Public Administration and Australian Institute of Company Directors. He has spent nearly two decades as a senior leader in key Victorian Government agencies including the Department of Primary Industries and the Department of Sustainability and Environment. Peter is a highly-respected public sector executive with experience in implementing change while driving integrated and improved performance. He is proficient at delivering legacy-style change. He applies his four-fold technical expertise - driving change, delivery improvement, integration and leadership – to maximum impact within challenging and complex environments. Peter brings his visionary and energetic leadership style to inspire and drive better business outcomes. He applies decisive action and sound judgement to deliver value to SARDI’s objectives, their highly skilled people, stakeholders and the wider community. 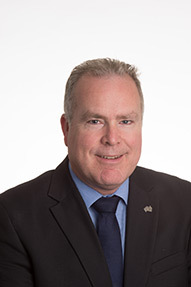 Sean Sloan was appointed to the role of Executive Director, Fisheries and Aquaculture in 2018, and is responsible for day to day management of commercial, recreational and traditional fisheries, aquaculture management, strategic planning, policy development, regulatory reform, environmental monitoring, aquatic animal health and research priority setting for South Australia’s fisheries and aquaculture resources. Sean has a Bachelor of Applied Science (Fisheries) (with distinction) from the University of Tasmania and is a Graduate of the Australian Institute of Company Directors (GAICD). Sean has worked in fisheries management for 20 years, holding senior positions in the Commonwealth and State Governments of Australia and at the Pacific Islands Forum Fisheries Agency based in the Solomon Islands, where he was a fisheries adviser to the 17 Pacific Islands Forum countries, across the Western Central Pacific Ocean region. Prior to his current role, Sean has served as the General Manager of the former Aquaculture Division, as the General Manager of the former Fisheries Division and as a senior fisheries manager. Sean is a member of the Australian Fisheries Management Forum (a committee including the heads of each fisheries agency in Australia), the Marine Innovation South Australia (MISA) Steering Committee, a number of other national and State forums and is Chair of the Department’s Cost Recovery Governance Committee. Sean has published a number of papers and reports on fisheries management and has recently led the development of National Harvest Strategy Guidelines for Australian fisheries, which are a formal requirement under the Marine Stewardship Council certification process. Rob is Director of Forestry and leads a team to support the development of South Australia’s forest and wood products industry particularly those incorporating value adding and advanced manufacturing principles. Rob has spent 10 years working in forest policy with an emphasis on achieving social and economic outcomes from the state’s forest and forest products industry. Since 2014, Rob has provided leadership and strategic policy advice with major areas of focus being the South East Forests Partnership Program, which is investing $27 million to drive industry innovation, and the Mid North Forests Future Strategy, which is determining the future of the industry in that region following the devastating bushfires. Previously Rob held senior positions in the Department as General Manager Agribusiness Development, General Manager Strategy, and earlier as Manager Community Forestry with ForestrySA. His achievements during this time included developing the state’s first forest industry strategy, managing the community use and biodiversity conservation of South Australia’s forest reserves, and developing a range of forestry educational resources and programs. Rob is well known among the forestry sector and broader community, and widely acknowledged for his skills and experience in deriving public value from government-owned forestry assets. He holds a Bachelor of Arts (Physical Geography), a diploma in Wildlife and Park Management and is a graduate of the Public Sector Management program. As Executive Director of Corporate Services, Michelle Griffiths' primary focus is to work in partnership with the Department’s divisions to provide high quality, customer focussed corporate services, aligning with divisional needs and the Department’s directions. Michelle joined the Department in January 2018 and brings diverse experience in corporate services. Michelle has held roles as Director Finance and Business Services, Chief Financial Officer in Department of Environment, Water and Natural Resources. Michelle has previously held roles in the Department of the Premier and Cabinet, the Auditor-General's and the former Department for Water. Michelle leads a dynamic group of people in People and Culture, ICT, Asset Management, Business Services, Finance and Prudential Management. Michelle holds a Bachelor degree in Economics (Accounting), a Master’s in Business Administration and is a Fellow CPA.